Axial expansion joints are designed to absorb axial movements (extension and compression in its longitudinal axial direction). The thermal expansion of a straight pipe line section between two fix points can be absorbed by axial expansion joints with a relatively compact build-in length. This offers a simple and cost efficient solution in terms of movement compensation. Axial expansion joints can be equipped with all kinds of connectors, such as welding ends or welded or loose (rotatable) flanges. 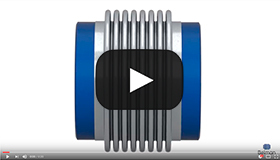 Belman designs and manufactures a wide range of axial expansion joints. As customised solutions axial expansion joints are available in all sizes up to DN 12.000, all designs and all materials. As standard solutions axial expansion joints are available in size range DN 25 – 2200. Comprehensive technical data and selection criteria for +3500 standard metallic expansion joints. Axial movement is considered as an elongation or compression of the pipe system in its longitudinal axis, meaning that in the process of absorbing the movements, the overall length of the expansion joint will either extend or compress. Axial expansion joints which are designed to absorb large movements, can contain one, two or several bellows in one unit, and larger movements can also be achieved by pre-tensioning or by installing several expansion joints on the pipe section. Depending on the nominal diameter and length, axial expansion joints have the ability to absorb minor lateral and angular deflections and installation tolerances. However, we recommend the utilisation should be limited to axial expansion joints main function, otherwise its service life may be negatively impaired. Where there is a need for absorption other than that of axial movements, we strongly recommend alternative options and Belman will be pleased to provide its professional advice. Axial movement is shown as AX and stated in mm. Compression and elongation are indicated as negative (-) and positive (+). Elongation +10 and compression -20 will be shown as: AX +10/-20 mm. Equal longitudinal movements are shown as: AX +/-20 mm (2δN). 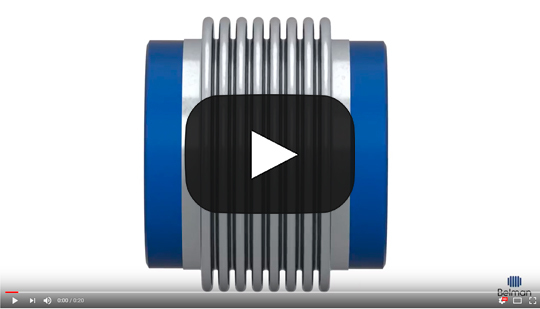 Having the ability to compensate for axial movements and with its simple and compact overall dimensions, axial expansion joints are very widely used within a range of applications. Axial expansion joints are especially common in long pipe runs, examples of which would include exhaust systems, ventilation and flue gas systems, district heating, steam, oil and gas pipe systems. What are the advantages of using Axial expansion joints? What are the requirements for using Axial expansion joints? This illustrates the importance in the use of the three fix points, as the use of two or more axial expansion joints in a piping section will create an undetermined arrangement. The amount of movements imposed on each expansion joint is not controlled, as the pipe between the two bellows can move sideward freely in both directions depending on the friction of the pipe supports and the differences in stiffness between the bellows. It is always important to have one axial expansion joint between two fix points. Typifies good practice in the use of expansion joints to absorb axial expansion in a pipe system with a branch connection. The fix point at the junction, which in this case is a tee, is designed to absorb the thrust from the expansion joint in the branch line. 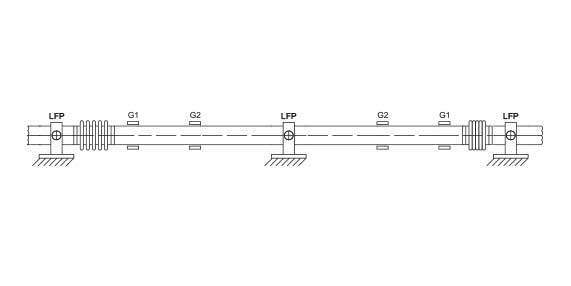 Note the proximity of each expansion joint to a fix point, the closeness of each first guide (G1), the spacing between the first guide (G1) and the second guide (G2) and the spacing of guides (Gn) along the remainder of each pipe section. 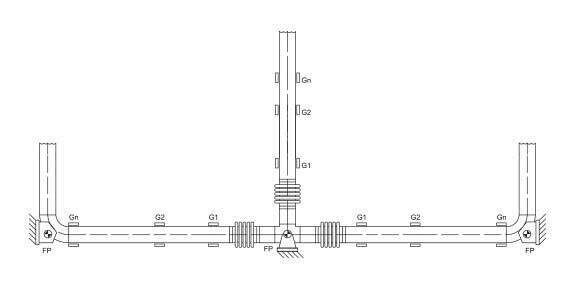 If the required/specified expansion joint is not found in our standard product range, please do not hesitate to forward your specifications to us. We are specialised in designing and manufacturing of cost-efficient customised solutions.